If you're looking for an alternative gift for your man this Valentines Day, why not buy him a Morphsuit for hours of fun and laughter. Men are really tough to buy for on Valentines Day as they don't like flowers, teddies, chocolates or balloons like us women do. Why no surprise him with something fun and completely different this year. Morphsuits.Com has an awesome range of morphsuits to fulfill every man's dreams. Has your partner ever wanted to be a Superhero or a Film star? Maybe an animal or even a man in uniform? Whatever he wants to be, he can in a morphsuit. 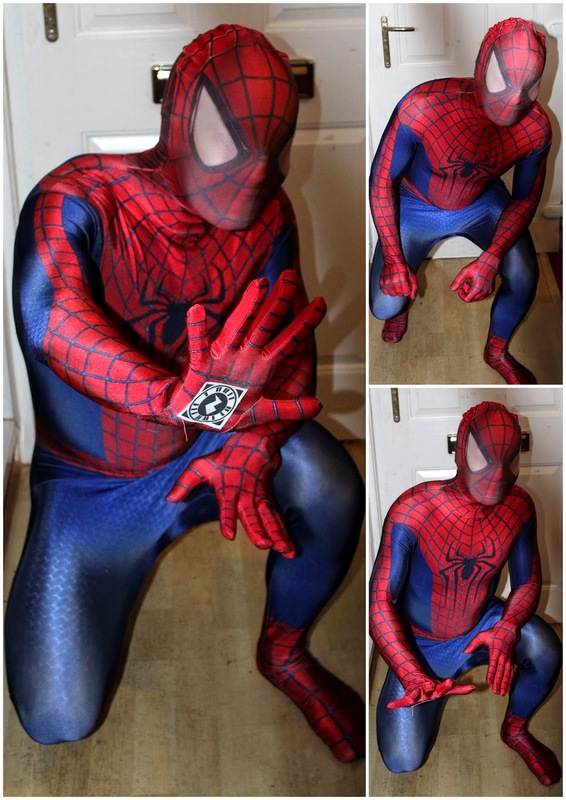 My son is a huge Spiderman fan so I decided to get Daddy an Amazing Spiderman 2 Morphsuit just to see his reaction and boy am I so glad I did. 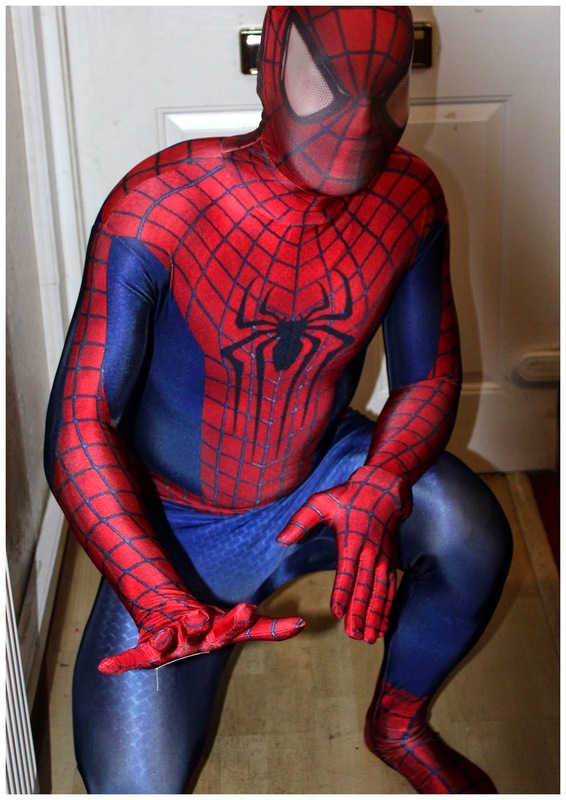 As you can see, Daddy loved his Spideman morphsuit and really got into character for our little photo shoot. My little man Ryan was absolutely delighted, he was so excited he ran around the house shouting 'My daddy's a Superhero' but he now wants one in his size too. 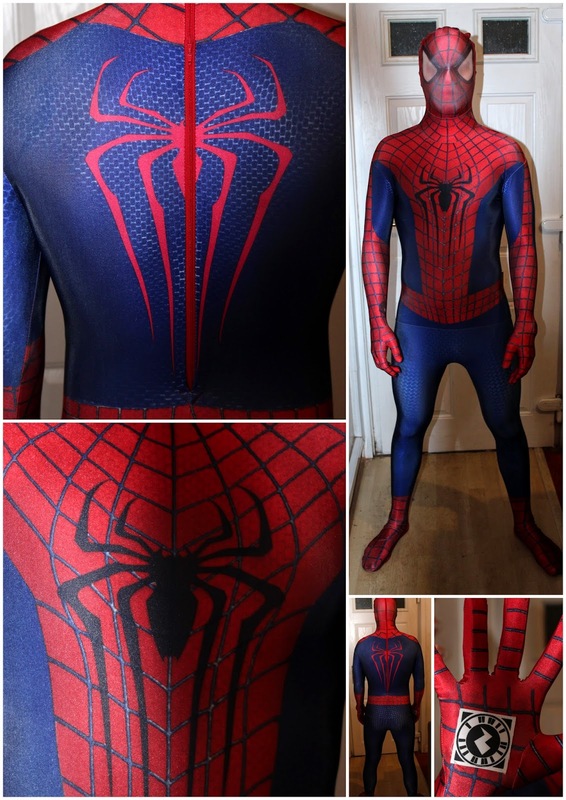 The Amazing Spiderman 2 Morphsuit costs £40.99 and comes in a choice of 4 sizes. This new Spiderman suit has even more detailing, larger eyes, brighter colours and the varying width of web on the body highlights muscle curvature. It's a pretty cool suit, I love it! The details are really cool and the suit itself fits really well. There are two zips at the back so you can zip up from the bottom and down from the top making it more manageable. Daddy did comment that he couldn't do it up completely by himself so he wouldn't really be able to wear it going out on the town as he'd worry he wouldn't be able to zip himself back up. It is perfect for wearing at home to entertain the children and would also be great for Halloween parties or any Fancy Dress parties in general that we attend together so that I could help him if needed. He loved the suit and found it very flattering which I have to agree. In addition to the incredible detail with this Amazing spider-man 2 costume for the first time ever you get to fire spiderman's web. It is the first time a costume has given you spideys web slinging ability, which you'd presumably use whilst saying "Go web go". So how does it work? .. It's simple, it's all about augmented reality. You download the free app, select the 'Zappar' segment, get a pal to view the target on your hand through the phone and watch the digital web zoom out. It's a pretty cool feature to have on a suit. Morphsuits are lots of fun and do look really cool. Daddy would never have bought himself one but now that he has it, I think he secretly does love it like most men would. Morphsuits could make a really fun gift for Valentines Day, if you were to buy one - which would you pick? I love the Spiderman one as it's fun for both Daddy and the kids but I do love the uniform ones that they do too, I've always wanted a man in uniform. Disclosure: I was sent a sample in return for an honest review. we got one too! I love it!